If you are a parent, then you have probably heard the dreaded words, “I’m BORED!” at some point in your life. Well, help is on the way! 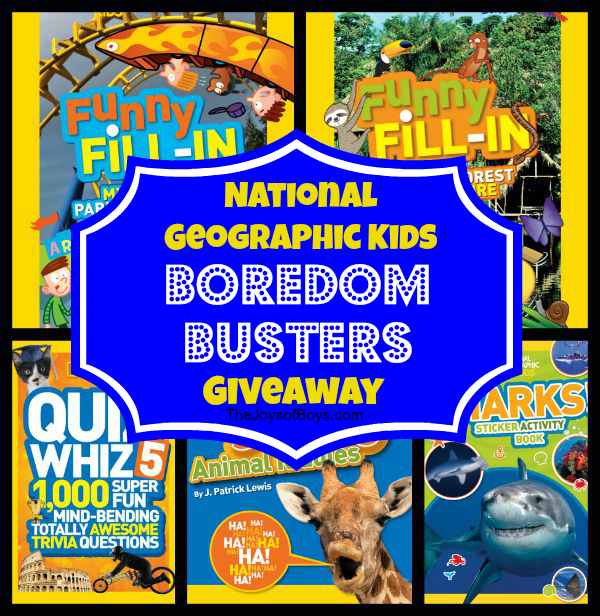 I am thrilled to team up with National Geographic kids to give away this fun Boredom Busters Book Pack. Where we live, we dread the summer months. We are pretty much stuck inside the entire summer, unless we head out to find cooler weather. But, I also know that you may live where you face brutal winters and kids will be stuck inside due to snow. Anytime your kids are stuck inside, it can be challenging to keep them entertained. 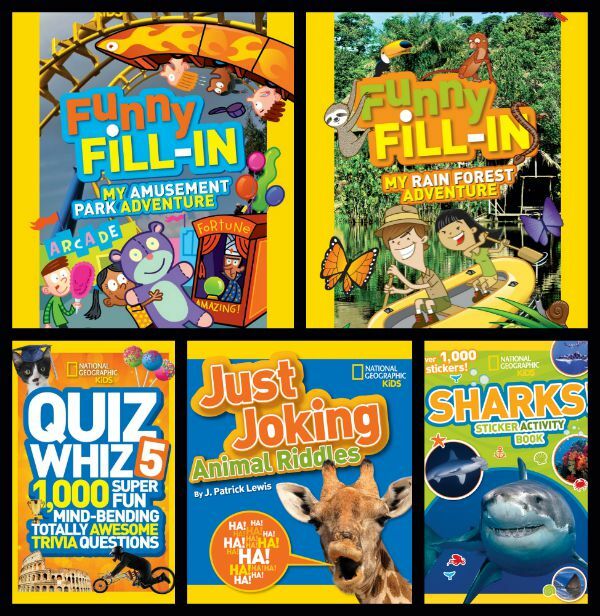 I love that National Geographic Kids has such a diverse line of books and activities for kids. 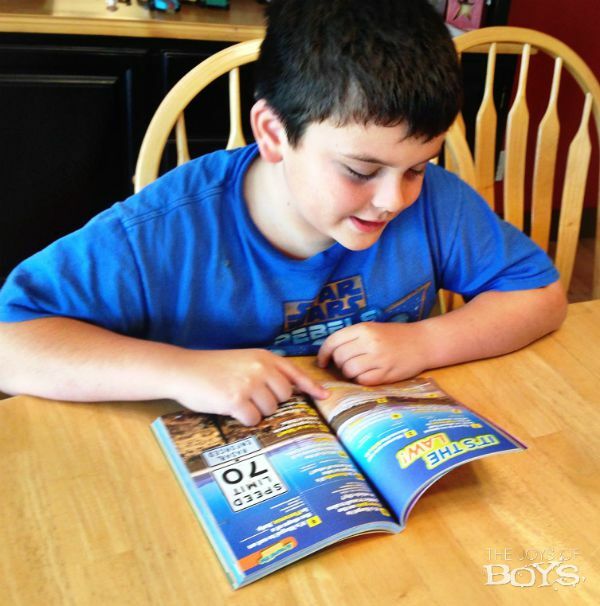 My older boys love the joke books, Funny Fill-in books and the books with trivia and facts from around the world. My youngest boys love the sticker books! 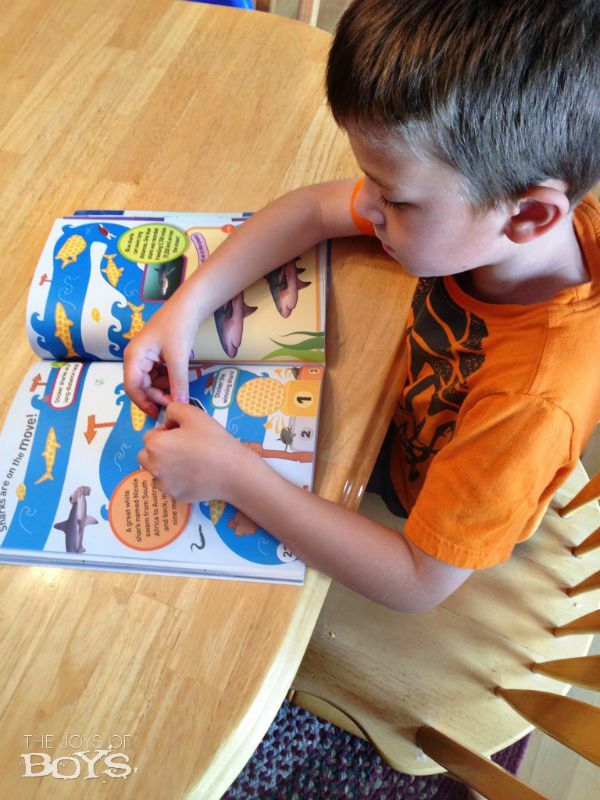 You can also download a free National Geographic Fun pack that your kids will love. They have the option of viewing it online or printing it out in color or black and white. Giveaway goes from August 18th-August 29th and is available only for residence of the USA. You can enter to win below. Good Luck!! My grandson most liked getting to vote for which lizard he likes better. My daughter likes Moment of Aww! section, especially the baby raccoons peaking out of the tree. My boys love exploring the animals and watching the videos. My boys love learning about animals. They LOVE all the information that is available on such a wide variety of animals. They could spend days on this website, reading and watching video, and still not get enough! My sons loved the games and videos. My son loves to watch the videos! He is a video fanatic. All of the great videos and info about the animals. They loved it all, but the Weird But True facts were their favorite! My kids love all the animal videos. My kids enjoyed the videos! My kids like the joke section. My kids love the “Moment of Awww” pictures! Oh his favorite was the matching game! We play these all the time at home and he has so much fun! He loved it online! My kids liked the videos best, then the cool facts and the quizzes. Really fun website, thanks for the giveaway! My older son loves jokes so the joke section is perfect! My grandson would most love the Doggie Ball Boys video! They like the quizzes, puzzles and riddles about animals! My grandsons are nuts about animals so they love that the most, thanks! My son enjoys the videos. The vibrant pictures. Love the up close and detailed views of things we’d never see otherwise. My daughter loved the Yellowstone park and wants to make it a family destination! They really enjoy learning about all the animals. My nephews love to hear about the animals and all the really cool facts.